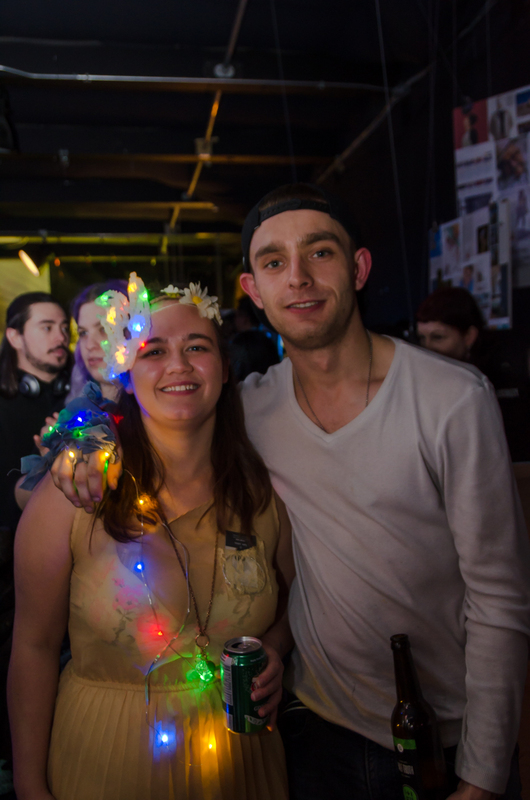 PULP: paper art party 2017 partnered with Jubilee Designs to provide party goers with a continued unique party experience, raising $2100 in support of local Toronto artists and their growing business! We hope to continue working with this incredible organization in the future. Jubilee Designs employs youth artists who created decor and gift items from conception through to finely crafted handmade items. Shifts are flexible with the understanding that there are many barriers facing street-involved youth that make it difficult to come into work on a given day. Jubilee Designs is a familiar and safe work environment creating a positive atmosphere to gain work experience. Donations received, like the donation from Pulp, help keep this employment opportunity running, allowing Jubilee Designs to pay fair hourly wages to youth while they strive to grow the business and make it a sustainable way to better the lives of the youth who come through the program. Jubilee Designs offers customers two ways to interact with the organization. The first through our line of products available for sale online. The second stream is youth-lead workshops for parties or corporate team-building events. There are three positions available for the youth: Studio Artists who create our handmade products; Studio Instructors who lead our workshops; and Assistant to the Business Manager who works on the behind the scenes aspects of the Jubilee Designs business. This entry was posted in charity, pulp art party 2016 by Robyn Lewis. Bookmark the permalink.